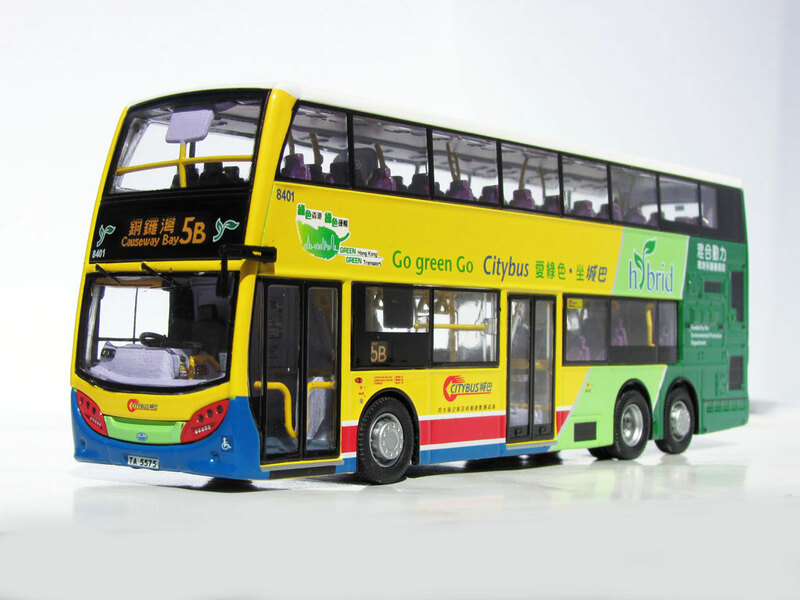 The model - Model 1 released models of both the Citybus hybrid Alexander Dennis Enviro500NGs on 31st July 2015. The bus - Citybus introduced two hybrid buses in November 2014 under a government subsidy and both entered service shortly afterwards, running on high passenger flow routes like routes 5B and 969. The buses are powered by a Euro 6 environmentally-friendly diesel engine, achieving zero emissions at low speed or whist stationary.